I've been wanting to put them away for a while, but don't have anything to take their place... so Easter lives on in my house. Not a bad thing but, as Tom Petty sometimes sings "it's time to move on." I'm liking the glass display vases, so those will stay (or maybe I'll upgrade if I can find some pretty apothecary vases on the cheap). 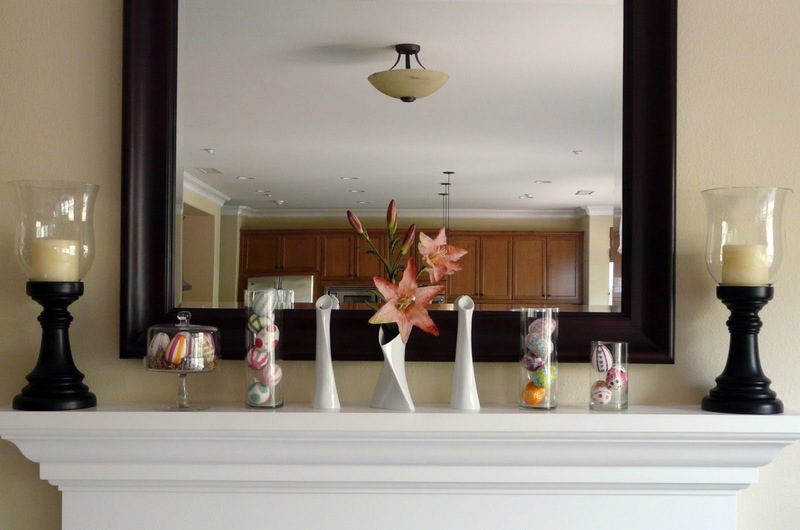 But the mantel is screaming for something new; something fresh; something non-egg. 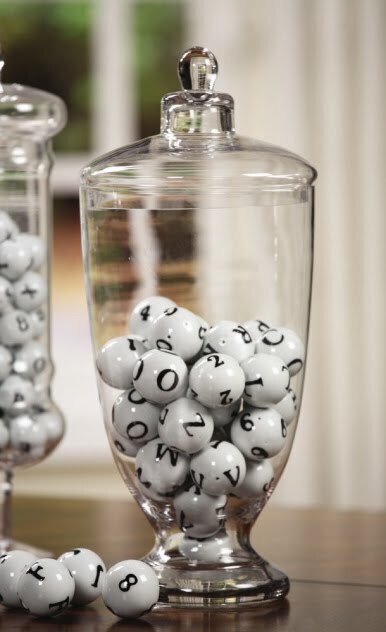 Then I saw these cute porcelain alphabet balls at Pier One and I couldn't get them out of my mind. Of course I'd have to get the entire alphabet and all the numbers, but at $2.50 a piece... way too expensive and anything that is round, rolls and is breakable is not a good fit for my home (small boys + glass balls = balls being thrown + screaming mama). So I went home and googled, then googled again and again until I came upon a tutorial using wood balls, spray paint and lettered stamps. Eureka, I have found it! Okay, it wasn't that dramatic, but nonetheless, I was pretty excited. I'm not quite done (playing ball). 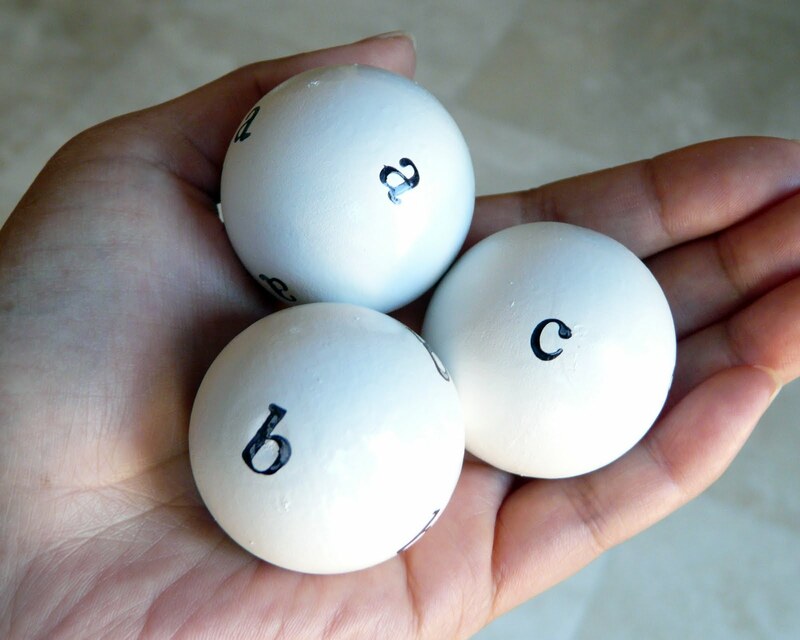 I have a few more sphere-related ideas that I'd like to try out. I'll be back soon with more!